Are You Building Muscle? Or Just Lifting Weights? If you believe you can build forearms and biceps like this guy’s using that tiny dumbbell, you’re going to be very disappointed. Here’s a question I love to ask guys who go to the gym every day: “Do you want to lift weights or do you want to build muscle?” The fact is most people lose sight of why they are lifting weights in the first place. Favorite exercises take on a life of their own. People perform them by rote, day after day, month after month and never evaluate whether it’s generating a tangible benefit. It’s a classic case of what philosopher Alan Watt’s called “mistaking the menu for the food.” It not about the exercises – it’s about gaining muscle. A true, muscle-building workout is an event! It’s an adventure! It takes you into territory you’ve never been in before. It’s the opposite of what the folks are doing in the “cardio” area of the gym. In the cardio area bored men and women walk, jog and step on machines while they read a magazine or absent-mindedly gaze at a ceiling mounted television. They grind away at a steady pace and sharp mental focus is the last thing they want because the activity is sheer boredom and who wants to dwell on that? No two strength workouts should ever be the same. Every exercise in every workout should involve a higher intensity of muscular output. That means you should always be reaching new personal records of heavier weight or more reps or an extra set. That’s how new muscle is built. It’s an adaptation to a new, greater demand. Here are three secrets to having the kind of explosive workouts that build muscle. Individual exercises come in and out of vogue for a variety of reasons. But the only thing that really matters is which exercise permits you to deliver the absolute highest possible overload to the muscle you are targeting. 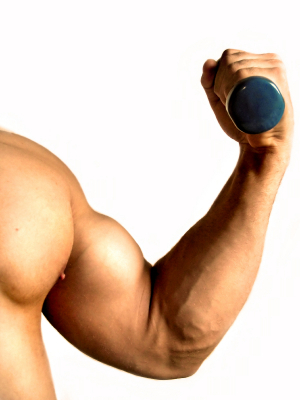 Take triceps for example. You could do cable press downs, dumbbell triceps extensions, dips, pushups, French presses, close-grip bench presses…I could go on and on. Then there are the dozens of variations of triceps machines from all the leading equipment companies. How do you know which one is right for you? The simple answer is: The one that allows you to hoist the most weight. So if you can do dumbbell triceps extension with 40 pounds in each hand but you can do weighted dips with your full body weight plus 30 pounds of plates hanging from a weight belt, it’s pretty obvious which one is delivering the highest overload to your triceps. 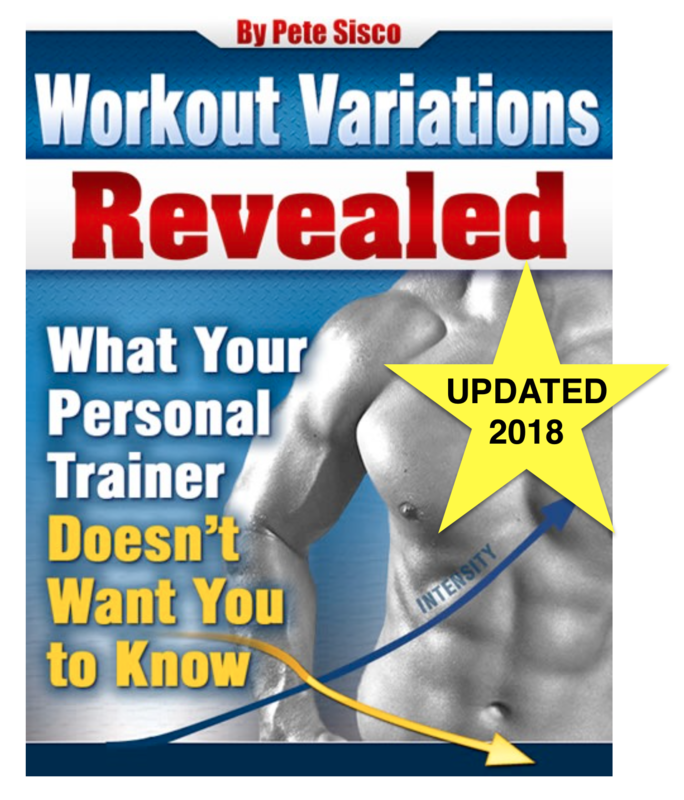 Perhaps more important, using some simple experimentation you can test the validity of exercises that are recommended by gurus, gym rats and other erstwhile helpful people. Just compare how much you can barbell squat vs. hack squat vs. leg press and you’ll reach your own empirically validated conclusions. When you start using the best exercise for each muscle group your workouts will explode. This point is an obvious corollary of point #1 but it goes further. Even with the right exercise you have a choice between using a heavier weight and doing fewer reps (or a shorter static hold) or using a lighter weight and doing more reps (or a longer static hold). I’ve tested all these combinations and none works better than hoisting the heaviest weight you can for a little as 5 seconds of static contraction. The intensity of that overload creates maximum metabolic changes in the body. It literally forces an adaptation. Don’t believe that old gym bromide about “light weights for definition” High reps with light weight is pretty much a complete waste of your time. It’s inefficient at building muscle and it’s inefficient at improving definition. There are better ways to do both. When you start using big weights for each exercise your workouts will explode. If your workout is taking you more than 30 minutes something is wrong. If you’re getting it done in less than 20 minutes you’re on the right track. Remember, a good muscle-building workout isn’t like sleep walking on the treadmill or stair stepper. It’s all out, it’s high intensity, and you can’t sustain it for long because it takes everything you have. You’re forcing your body to adapt to a massive stress. I work with advanced trainees who target five different muscle groups per workout and they are finished in 15 minutes. In that time they actually perform only 25 seconds of actual lifting. That’s not a typo…they perform five exercises using a five-second static hold on each exercise. When they return to the gym in two weeks or so they perform five different exercises for different muscles. And they make progress on every exercise in every workout. How many people do you know who can honestly say that? – new personal records on every workout! When you start engineering workouts that are super intense and can be sustained for only a short time your workouts will explode. 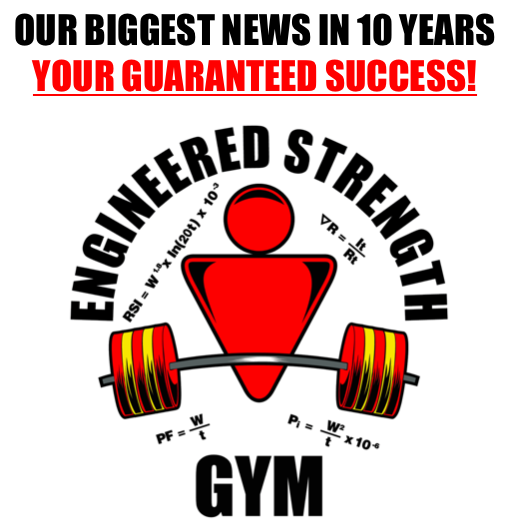 We have been trying various training tips from you and John Little over the last couple of years going to the gym once per week, the biggest challenge is not enough weights on the machines for static, gym owners don't like us adding more weight to their machines with chains plus we feel trying the exercises once sided puts too much of a distortion to our bodies. How do you over come this? Using heavy free weights on some exercises becomes dangerous, so We now we are trying the power factor training twice per week but found we get weaker. So I am assuming not enough rest. People are still in the dark ages of how to workout. We do not see anybody keeping track of what they are doing and they think we are nuts > LOL. Gino, congratulations on getting too strong for your gym's machines! Nice problem to have. Perhaps you've seen the "cheats" on this page: http://www.precisiontraining.com/static-contracti… I completely agree with you on the sorry state of exercise machines. It's a tragedy that companies make lag press machines with 400 lbs of weight and expect that to do the job. The only answer I can see is the development of a world-class SCT machine.